Charles Albert The Old Roman” Comiskey was a larger-than-life figurea man who had precision in his speech and who could work a room with handshakes and smiles. While he has been vilified in film as a rotund cheapskate and the driving force, albeit unknowingly, behind the actions of the 1919 White Sox, who threw the World Series (nicknamed the Black Sox” scandal), that statement is far from the truth. In his five decades involved in baseball, Comiskey loved the sport through and through. It was his passion, his life blood, and once he was able to combine his love for the game with his managerial skills, it was the complete package for him. There was no other alternative. He brought the White Sox to Chicago in 1900 and was a major influential force in running the American League from its inception.From changing the way the first base position was played, to spreading the concept of small ball” as a manager, to incorporating the community in his team’s persona while he was an owner, Comiskey’s style and knowledge improved the overall standard for how baseball should be played. Through rigorous research from the National Archives, newspapers, and various other publications, Tim Hornbaker not only tells the full story of Comiskey’s incredible life and the sport at the time, but also debunks the Black Sox” controversy, showing that Comiskey was not the reason that the Sox threw the 1919 World Series. 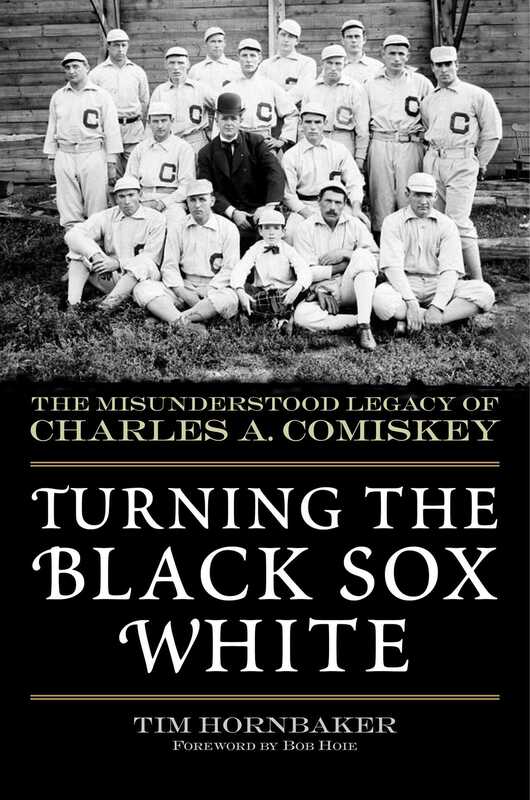 "Hornbaker makes a sound case for why Comiskey has long been an inappropriate fall guy for the [1919 'Black Sox'] scandal. . . . His depth of knowledge of this era of baseball history shines through."